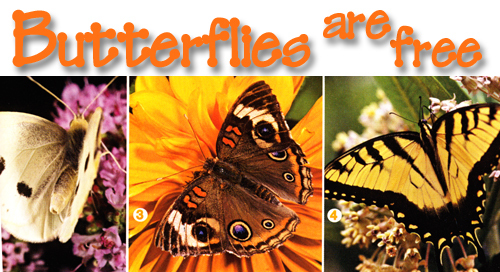 To bring life and color to your potted plants, plant flowers that attract butterflies and their caterpillars. Planting lush, colorful flowers in garden pots is easy to do, but when you are at the local nursery why not look at the plants that will attract wildlife to your yard as well? Butterflies are always looking for a drink of flower nectar to fuel their short, intense lives. Simply selecting a lovely piece of pottery and then filling it with the right type of plant materials will attract all kinds of stunning butterflies. Most butterflies live for just a few weeks. 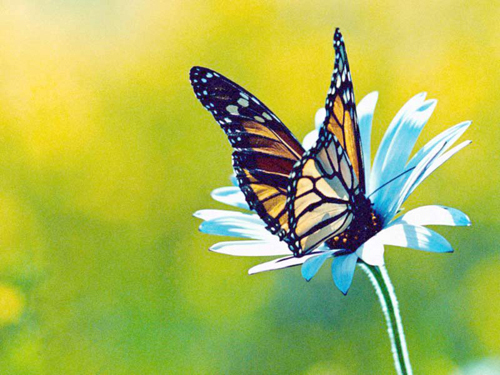 During their short lives, they are looking for flowering plants that can give them nectar. 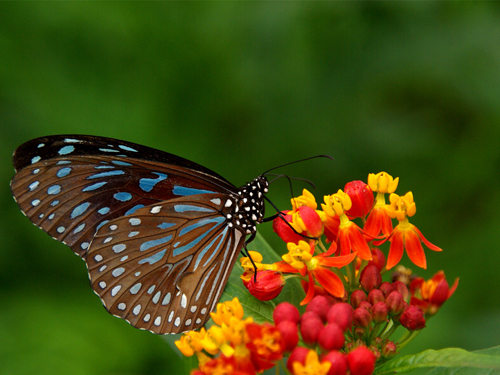 You really don't have to plant special types of flowers to attract butterflies since all flowers will attract them. But, if you try these specific ones they will stop by for sure. Plant more than a single pot of them and you will get a large number and variety of them. 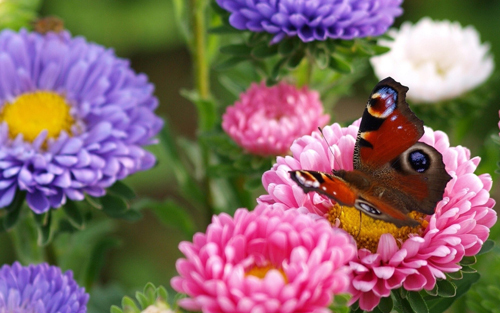 Butterflies will flock to bright zinnias, asters, clover and dill. The most successful potted plants provide a ton of blooms from early spring to late fall. Marigolds, snapdragons and great butterfly draws. Make sure that the pots are in a area where they get sun because butterflies like to bask in it. If the pots are in a covered or shaded area maybe you can move them occasionally for partial sun exposure. It doesn't take a great deal to entice butterflies to visit our yards. As butterflies drift from pot to pot and flower to flower, lapping up nectar, their presence is our own sweet reward. Read more.....Nasa & Houseplants - Who Knew? Read more.....Growing chili peppers in garden pots.